The Eagles made their way back to Buffalo for the first time in over ten years Saturday evening. 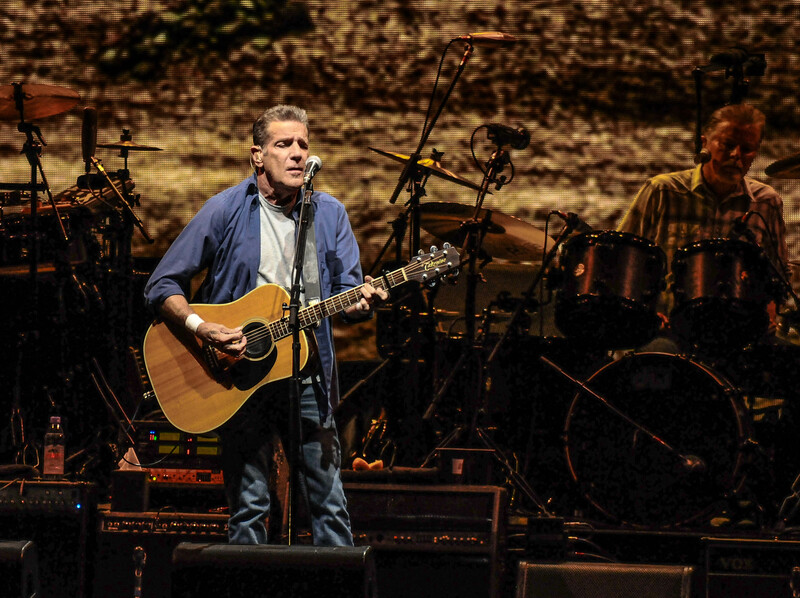 The sold out crowd inside the First Niagara Center were treated to what was advertised as The History Of The Eagles tour. The show was divided into two segments. 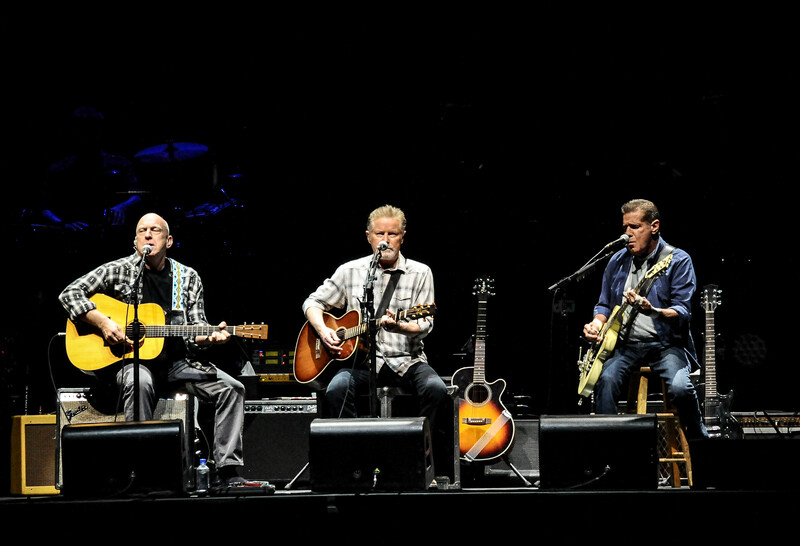 The first set featured songs from the early part of the bands career best translating to the 71-75 (pre-Hotel California) era. 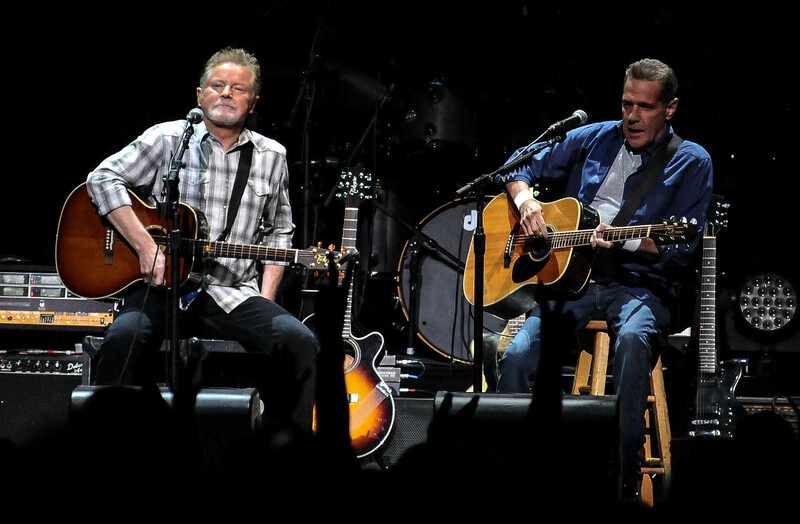 The show started out with vocalist, drummer Don Henley and vocalist, guitarist Glenn Frey coming out from opposite sides of the stage meeting in the middle and giving each other a fist bump before embracing. 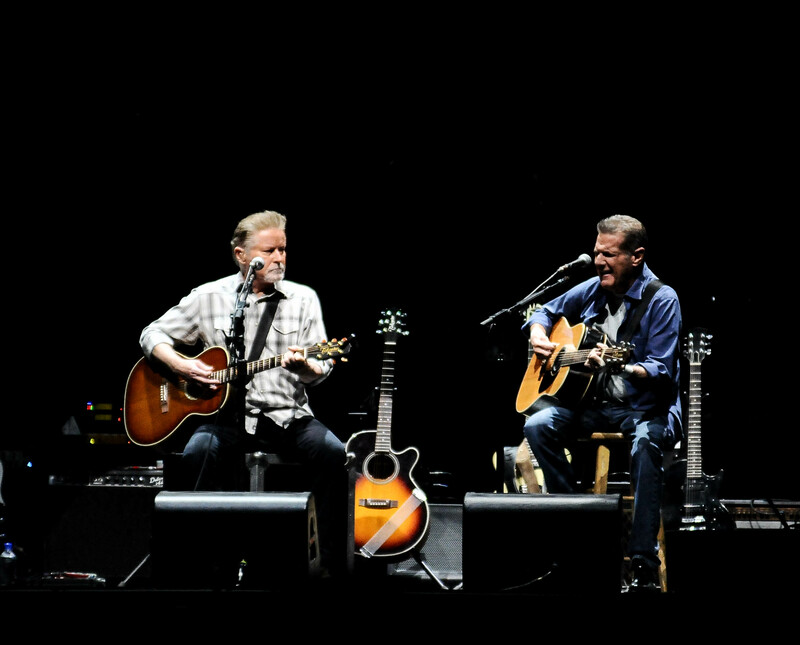 While the band has had many important members since their birth in 1971, the Eagles have always been Henley and Frey. They are the two main voices as well as the main songwriters and let’s face it, they call the shots. The night began with just the two of them playing “Saturday Night” from Desperado on stools. 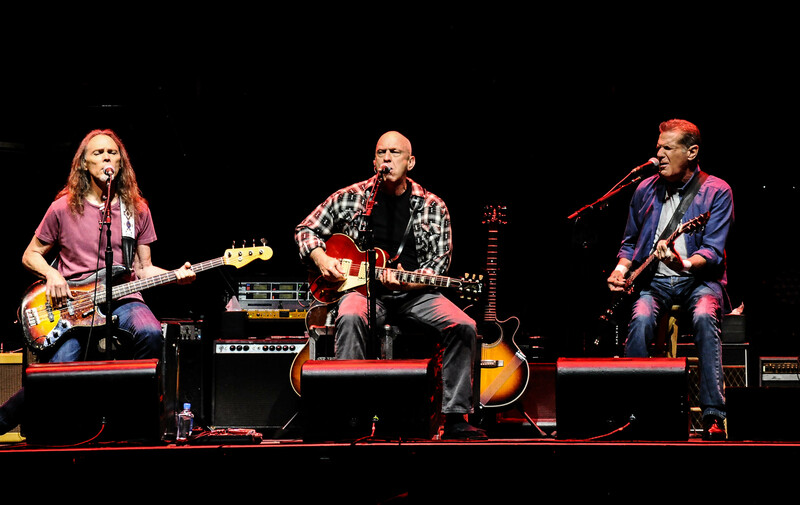 The two were then joined by founding member Bernie Leadon for “Train Leaves Here This Morning” which appeared on the Eagles eponymous album. Leadon played the entire first set and appeared back out for the encores. 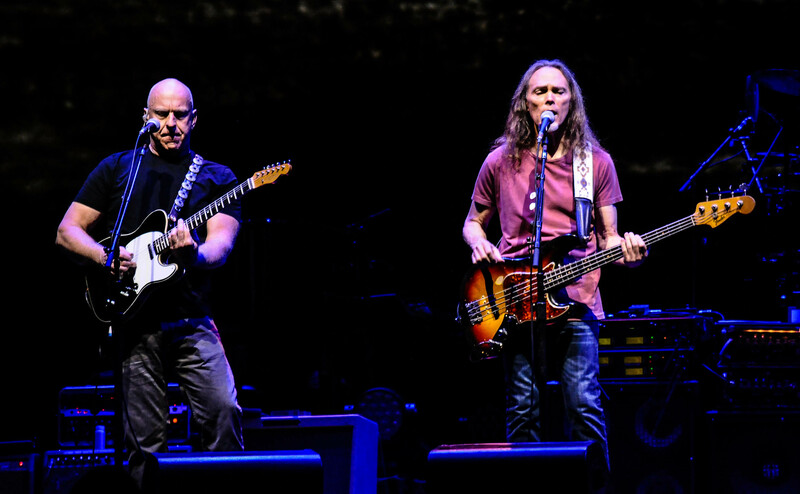 One by one the members came out and it was bassist Timothy B. Schmit’s turn, the next song guitarist Joe Walsh came out. The band then kicked in and things took off with “Already Gone”, “Lyin’ Eyes” and a stellar “One Of These Nights”. Frey wished former founding member Randy Meisner well as he introduced the song Meisner helped pen as well as sang lead vocals on “Take It To The Limit”. The song sounded just fine with Frey singing it despite Meisner’s not being present. 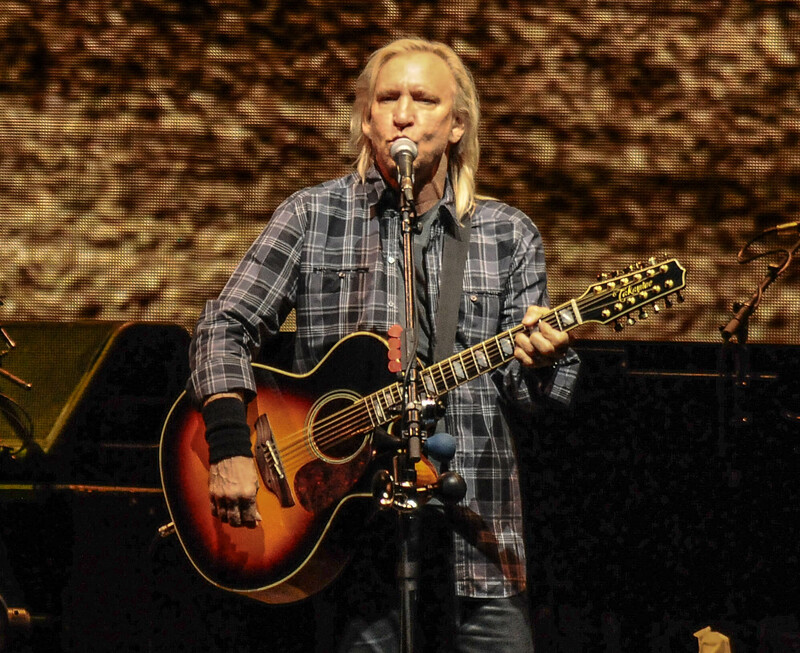 After a brief intermission the second set also known as the Joe Walsh set (he is featured on approximately one-third of the set) started appropriately with Walsh’s “Pretty Maids All In A Row” from Hotel California. Highlights of the second set were plenty, it was almost easier listing what wasn’t memorable. That other number one song from Hotel California, “New Kid In Town” showed Frey to be in very good voice while “Heartache Tonight” seemed to lack that pop that it usually has. It appeared to be tuned down and played differently from the original. Schmit addressed the crowd and noted he remembered playing Buffalo on his first tour with the band in 78’. He then introduced “Love Will Keep Us Alive” which was one of the four studio tracks from Hell Freezes Over. 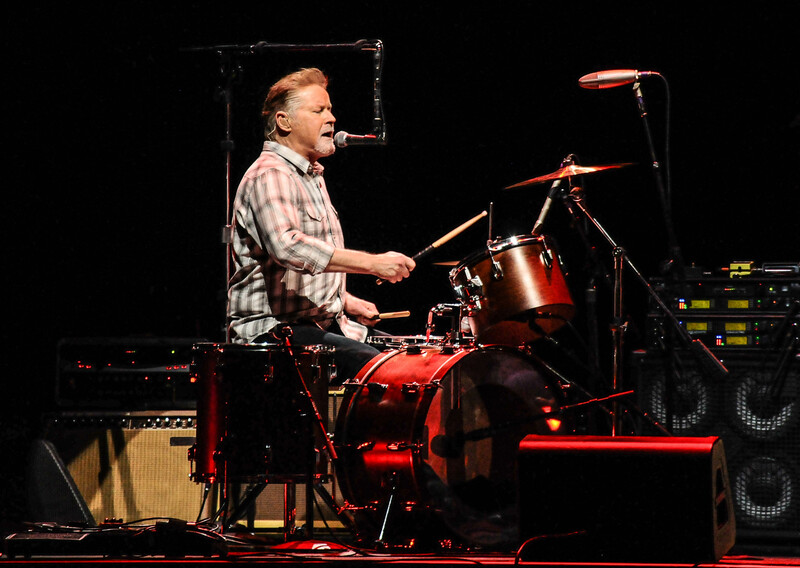 Henley played drums for a large portion of the night. He did at times come up front to sing songs such as “The Long Run” and “Life In The Fast Lane”. 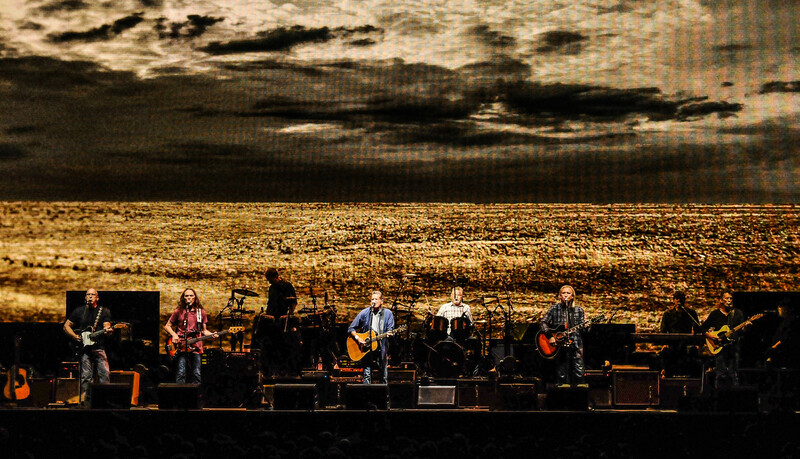 It must be noted while the Eagles appeased the audience, it was a relatively calm crowd. For having the arena packed and to hear it so quiet was something I was not accustomed to. That did change at times like during the Walsh classic “Life’s Been Good” and “Funk #49, a number from his old band the James Gang that seemed to get the crowd out of their funk. 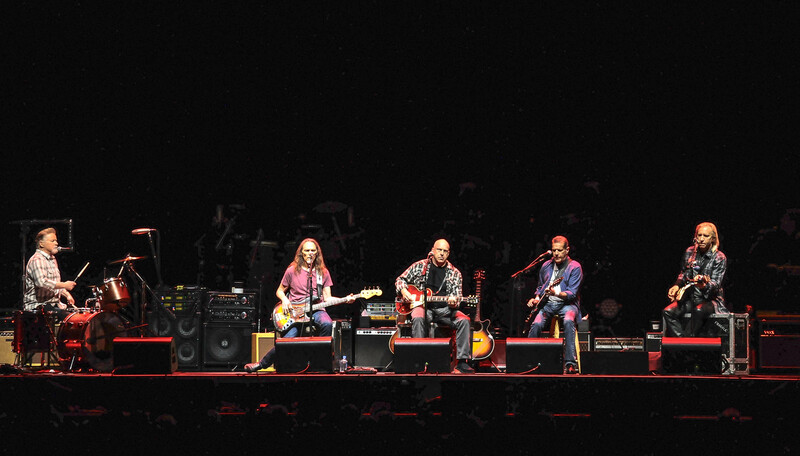 The bands signature song, “Hotel California” appeared as the first encore. 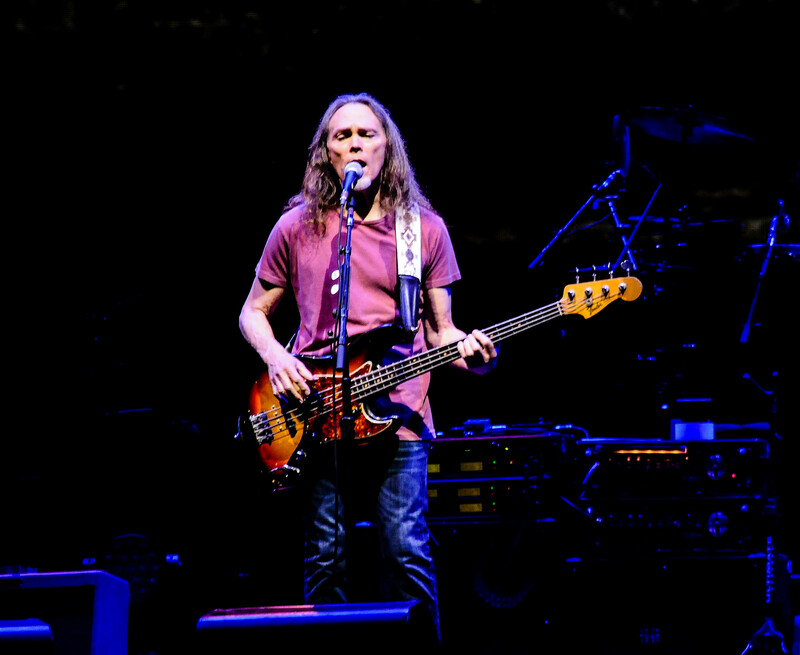 Following that the band left and came back for “Take It Easy”, the song that first put them on the map in 1972. Walsh’s “Rocky Mountain Way” and “Desperado” closed the evening. The show may not have had the swagger of The Rolling Stones show just one short week ago, but the fans left more than satisfied. 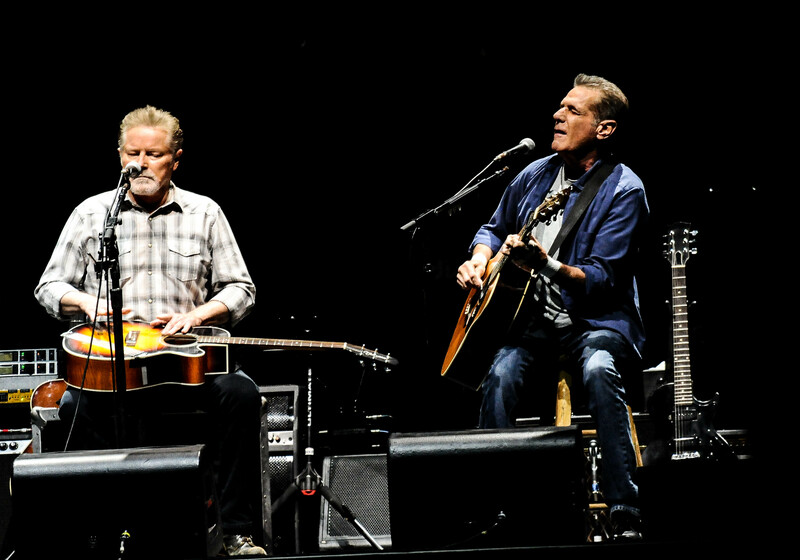 The Eagles delivered as promised by giving the crowd a good look into the band’s history (as well as Walsh’s career outside the band). 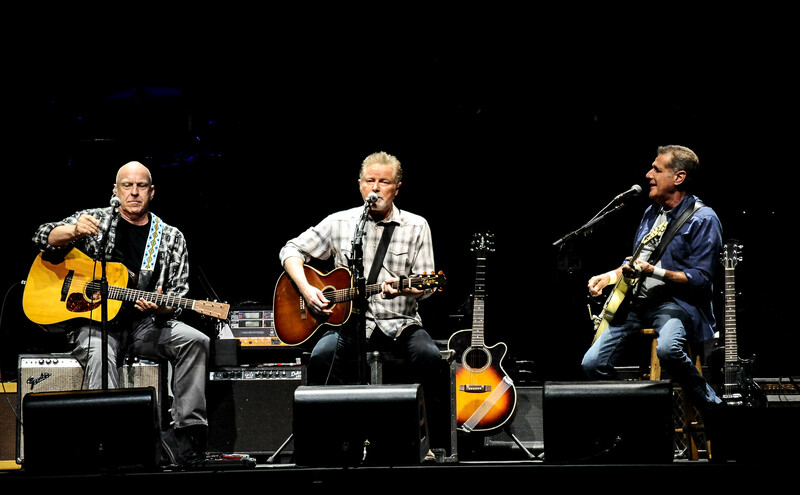 The vocals were very good, harmonies spot on and the set list was a good representation of exactly who The Eagles are. Special thanks to Tracey Mancini for all her help. 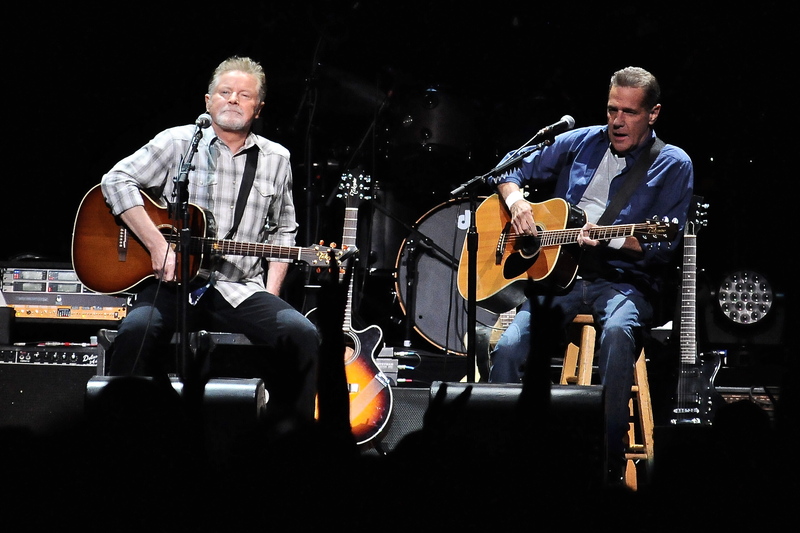 This entry was posted in Concert Reviews and tagged DonHenley, Eagles, First Niagara Center, Glenn Frey, Joe Walsh. Bookmark the permalink. ideas. Great website, continue tthe good work!